on the convergence of systemic crises and exponential technologies. And then there’s us, humans in evolution. What are the scenarios we are creating for our future? At twenty I was a rock journalist, at thirty I become a mother, and naturally more aware of how the biggest legacy we have for future generations, the Earth, is in grave danger. That’s when I dove into the gap between what we know and how we live, and developed a strong sense of urgency to incorporate practical and regenerating solutions into our daily lives. I discovered that we could live better by consuming less, without sacrifice or extremisms and it’s been a creative adventure. Tentativi di Eco Condotta (Rizzoli, 2008), a collection of my sustainable solutions. Antonio Ricci, author of Striscia la notizia, the most popular long running show on Italian TV, was taken by the light, pragmatic tone of the book and asked me to host a weekly segment on Striscia la notizia. 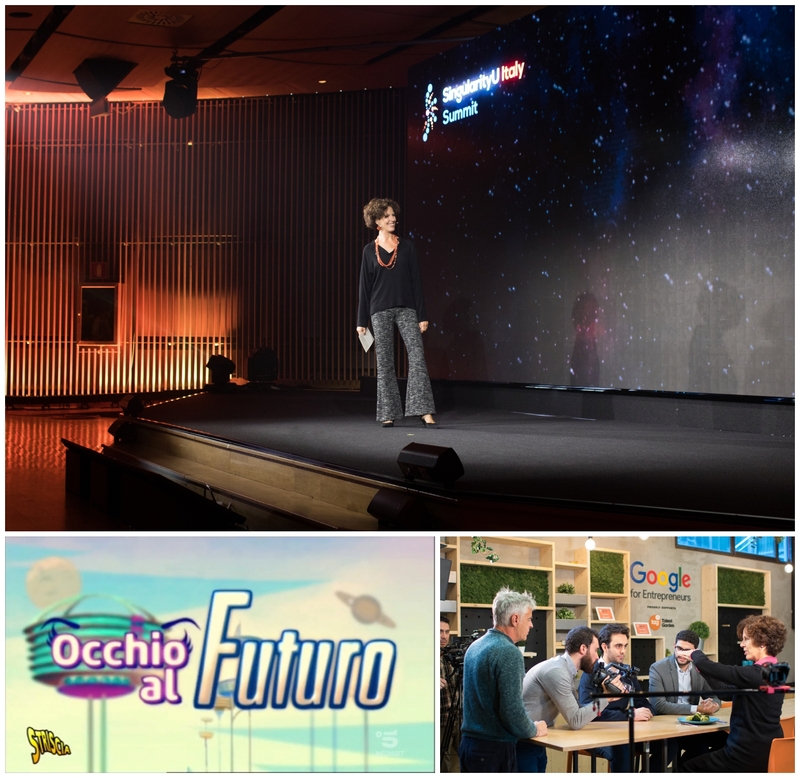 Occhio allo Spreco (keep an eye on what you waste) became a popular appointment on Saturday night primetime TV, bringing stories of stories of communities, individuals and companies who practice regenerating solutions. 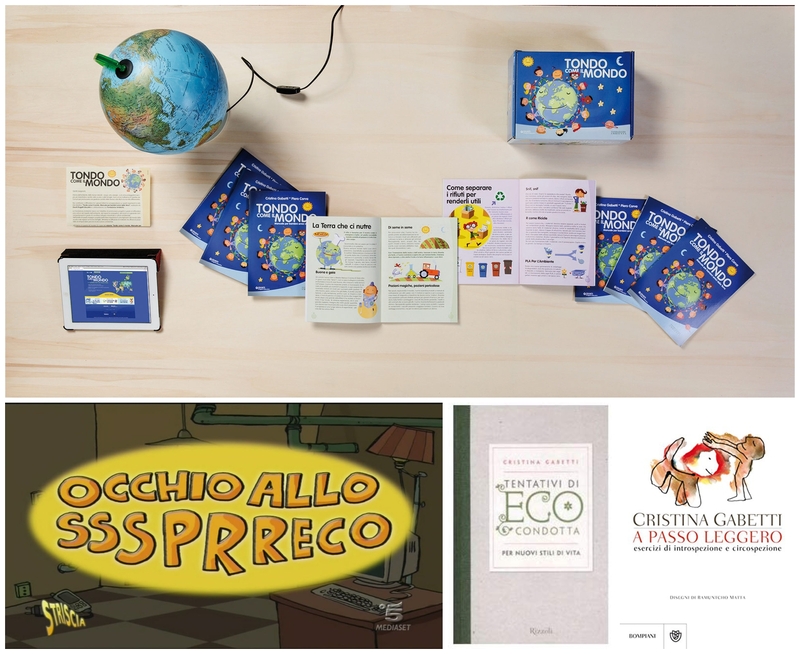 I wrote my second book, Occhio allo Spreco (Rizzoli, 2009; BUR 2010) and my first for children, Tondo Come il Mondo, illustrated by Piero Corva, published by Giunti Progetti Educativi and Fondazione Ambienta (2010). It’s an experiential journey into our interconnected natural systems and teachers have adopted it with enthusiasm. In the summers of 2012-2014 I was given a column on the leading daily national newspaper Il Corriere della Sera. A Passo Leggero (light strides) became a collection of transformative experiences. 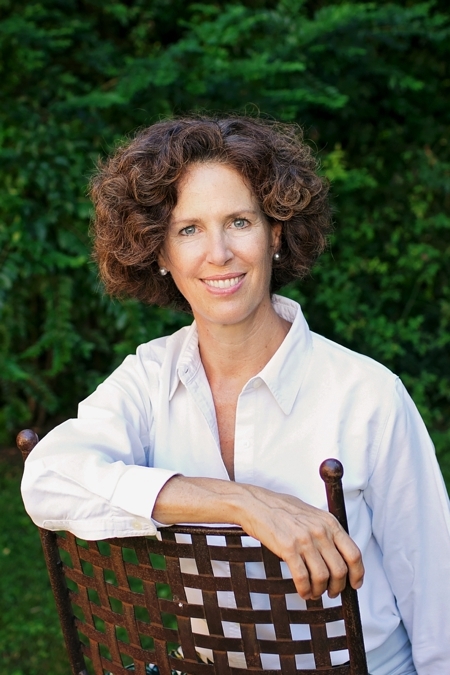 In 2013 Elisabetta Sgarbi, Senior Editor of Bompiani, saw the opportunity to develop the column into a book. A Passo Leggero – exercises of introspection and circumspection, was published in 2014. Stories of empathy and an in-depth analysis of the dynamics which enable us to feel with others, in a long conversation with neuroscientist Giacomo Rizzolatti, who discovered the mirror mechanism. with a new segment for Striscia la notizia called Occhio al Futuro. The series, explores the impact of exponential technologies on our lives and in our society. My investigations led me to connect with international organizations and communities who are supporting the transition towards the new paradigm. From Singularity University, at NASA in California, to Japan and Italy, to share the brilliant minds who give life to great ideas. My desire to put my experience at the service of others is grows and the opportunity arises to collaborate with Ashoka Italia, the world’s largest network of social entrepreneurs. I facilitate a storytelling workshop for them. The success of the initiative convinces me to bring the experience to other areas. In 2016 I’m Editor in Chief of the bi-monthly business-lifestyle magazine The Good Life Italia, and from 2017 to 2018 I was Editor at Large. In 2017 I moderated the first Italian summit of Singularity University on exponential technologies with a panel of 21 global experts and 1,300 guests.